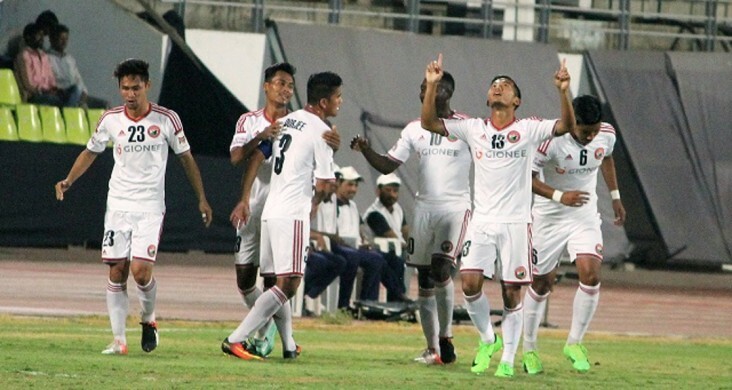 DSK Shivajians were edged out of a looking-to-be-draw by a late winner from Redeem Tlang in the dying minutes of the 5-goal thriller played out at the Balewadi Stadium in Pune. Isaac Vanmalsawma (14′) opened the scoreline in the first half before the drama unfolded in the second half when four goals were scored, two by a piece. 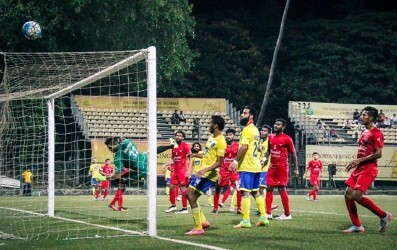 Samuel Lalmuanpuia (52′) doubled the gap before Ongnam Milan Singh (58′) drew the first blood for the hosts. Pranjal bhumij (63′) drew parity on the scoreline before Redeem Tlnag (90’+3′) clung on the winner. DSK Shivajians rested Sumeet Passi and replaced him with Seityasen Singh. 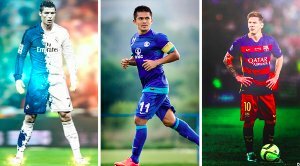 Juan Quero reigned supreme as the creator in chief while Sasa Kolunija and Shane McFaul looked to make the midfield their own. Halicharan Narzary took up a familiar role of centre forward, the same position from where DSK Shivajians put five away against Mumbai FC in their last home tie. 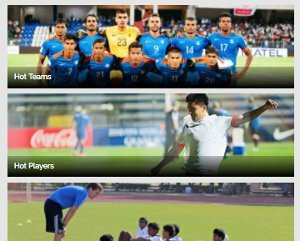 Shillong Lajong, arrived into Pune after a drab draw Goa against Churchill Brothers made one change to the set-up in the form of Rupert Nongrum in place of Fabio. Weaknesses down DSK Shivajians’ right flank would turn out to be the weakness that was exposed by a crafty Lajong side. Balewadi looked to be stunned as Lajong took the lead through a clever Issac finish from a loose ball inside the DSK penalty box. After that crucial first goal, Lajong looked content to sit back and absorb the pressure and hit out on the counter while DSK exposed spaces behind their defence when on the attack. The biggest chance of the half came to Pradhan for the Shivajians. The former East Bengal skipper took a punt from some 22 yards out of Kaith’s goal only to see the chance rebound off the underside of the crossbar. The rebound seems certain to be converted by Seityasen, only for his attempt to get blocked and rebound for a goal kick. 52 minutes in, clever control by Lalnunpuia after a great corner into the box saw the Lajong number nine with ample time to turn and shoot past Pal. Milan Singh brought the Shivajians back into the game after a powerful header past Kaith in the 58th minute. That was, however, the tip of the iceberg. DSK Shivajians were on level terms just another 5 minutes later as Pranjal Bhumij sent the Balewadi into a bout of delirium. Just when it seemed as if both the teams would share the spoils, Samuel Shadap’s late cross was made a hash of by Pal, who ended up affording an easy chance to second half substitute Redeem Tlang. The Lajong number 19 made no mistake a popped into an empty net to all but seal three points for the visitors. With the result, Lajong moved to the fourth position in the Hero I-League table while Rogers’ side remained at the eighth spot. The Shivajains now face a trip to Kolkata to face East Bengal while Shillong Lajong faces Mohun Bagan.